Virgil H. “J.R.” Swift, 69, of Salem, IA, passed away on Friday, November 9, 2018, at his home following a lengthy illness. Graveside services will be held at 10:30 a.m., on Saturday, November 17, 2018, at Bayles Cemetery, southeast of Hillsboro, IA. Family and friends will be given the opportunity to share a memory of J.R. during the graveside service. According to his wishes his body has been cremated. There will be no visitation. In lieu of flowers, gifts of love and friendship may be given to J.R.’s brother, Dennis Swift, for the purchase of a monument. Olson~Powell Memorial Chapel has assisted the family with arrangements. On-line condolences may be directed to www.olsonpowell.com. Born June 13, 1949, in Fairfield, IA, Virgil Henry was the son of Virgil Henry and Ruby Elaine Moss Swift. 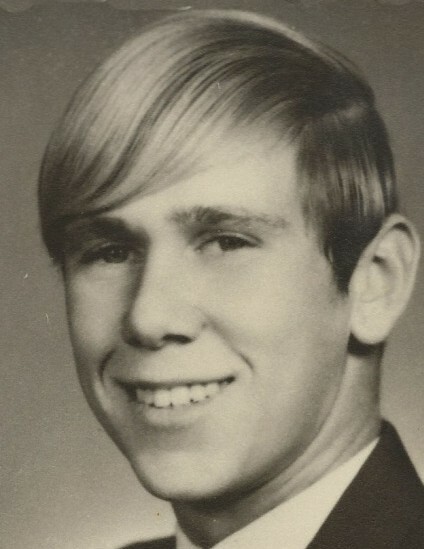 He was a member of Harmony High School Class of 1967. A carpenter by trade, J.R. was known for his excellent finishing skills. He worked with his brother, Terry, and for L.J. Roth for a few years. He enjoyed woodworking in his spare time. In his early years, J.R. attended Big Mound Methodist Church. He loved spending time with friends and family, including his nieces and nephews. J.R. is survived by three brothers, Roger (Freida) Swift of Cary, IL, Dennis Swift of Salem, IA, and Terry Swift of Paduka, KY. He is also survived by nieces and nephews. Preceding J.R. in death, are his parents, and two brothers, David Swift and Robert Swift.